CONNECT Follow Up and Thank Yous! Well, Antigone Magazine’s CONNECT: A Woman’s Networking Lunch was a great success! Thank you to everyone who participated, helped, attended, sponsored and supported our event! 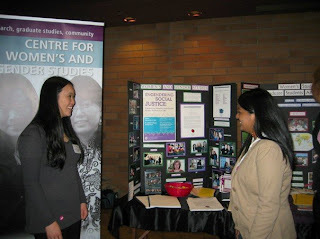 The event specifically featured UBC groups that support women and we aspired to involve young women and men in these causes. Our goal was to get young women involved in political and social issues that affect them. We feel that it is crucial to facilitate connections between young women and groups that work for women. Approximately 100 students attended the lunch and were able to make important connections with women’s organizations and politicians in attendance. These connections will continue to make a difference for UBC women when CONNECT: A Women’s Online Network is launched in March. Thank you for your help and your support! If you’re interested in subscribing ($12 for one year) or if you’re interested in advertising in our magazine e-mail antigonemagazine@hotmail.com. The CONNECT networking lunch was phenomenal! 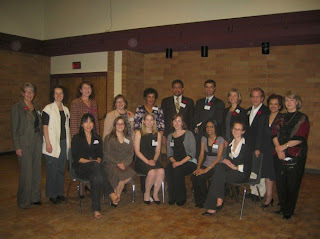 Thank you to all the fabulous people that attended and helped to organize the event! I will be doing a far more formal report from the event in the next week but I am currently back in Windsor to receive an award and taking advantage of this opportunity to spend quality time with the family… who I apparently love more than my loyal blog readers! Apologies! It is not a matter of loving anyone more really, but I do get to communicate with them far less than with Antigone’s readers. So, I guess this and the expected announcement of a super cool feminist art project will have to be put on hold until I get back to Vancouver… I’ll give you a hint though… do you notice the new donate now button on the left? It may or may not have something to do with the cool feminist art project/fundraiser…. CONNECT: A Woman’s Networking Lunch – THIS FRIDAY! Well, the blog will be on a bit of a hiatus this week as we prepare for our big event this Friday and for the release of the Fall edition of the magazine! We hope to see you at the CONNECT event! 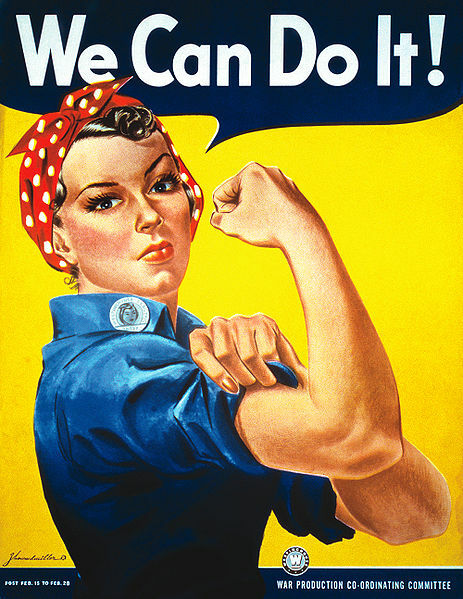 Stay tuned next week for the announcement of a really cool feminist art project! 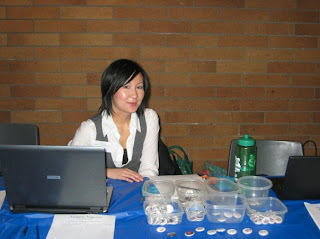 The event will feature women’s groups from UBC and across Vancouver, as well as, politicians who support women’s issues. In attendence will be Adrienne Carr, MP Don Bell, MP Hedy Fry, Vancouver City Councillors Heather Deal and Kim Capri, Coquitlam Mayor Maxine Wilson and Liberal Candidate Joyce Murray. Members of the public can reserve their tickets today by e-mailing antigonemagazine@hotmail.com or calling 604-730-0264! Celebrate Antigone Magazine’s First Anniversary at the event and get the Fall issue of Antigone Magazine entitled ‘Women World Leaders’. Antigone Magazine is a non-profit, non-partisan magazine about women and politics that started at UBC with the help of WILLA, but whihc has since expanded nationally. 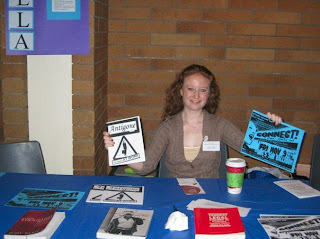 For more information about Antigone check out our blog at http://www.antigonemagazine.blogspot.com/. I’m doing an interview with the lovely girls from the F-Word radio program today (a new initiative from the Vancouver feminist action project) on Vancouver Co-op Radio 102.7FM. For those who hear about CONNECT or Antigone Magazine from that appearance – here’s some details about the lunch! We hope to see you there! CONNECT: A Woman’s Networking Lunch! It’s hard to believe that it’s already been a year since Antigone first officially launched it’s magazine… but indeed it has! Which means we need to celebrate and further our mandate of connecting young women with other women, women’s groups and politicians who work for women’s causes. That’s why we’re holding CONNECT: A Woman’s Networking Lunch! The lunch will bring together women and men of all ages who support women’s causes. Primarily we will be targetting women’s groups from across Vancouver, UBC students and politicians who support women’s causes. We believe that it is crucially important to bring these groups together to help encourage collaboration and faciliatate the work that they are doing. We still need tons of help with the event – so feel free to sign up to volunteer during the event, or help promote it! Please forward this info on to any other people you might think would be interested in this great event!